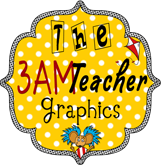 I am a new blogger and I am excited to begin blogging about teaching first grade! Thank you to Michelle at The 3am Teacher for my beautiful new background! I was going to link up for flashback Friday but my internet was down on Friday. Tonight while I was blog stocking browsing, I was so excited to not only find a free background but its CHEVRON! I have a huge slight obsession with this pattern:) Thank you, Thank you, Thank you Michelle! I hope everyone had a fabulous weekend! Under the alignment drop-down is the Tile drop down menu...choose "DON'T TILE"
And last, UNCHECK the option to scroll with the page. I am a first grade teacher at a wonderful elementary school in Benton just outside of Little Rock, Arkansas. This will begin my eighth year of teaching with six years of experience in special education. Teaching is my passion and I'm excited to share my experiences with the blogging world! Whoop, Whoop! Fifty's in the House!